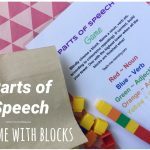 Breaking up words into syllables can help a struggling reader to read small parts(chunks) of the word at a time to make sense of the the word. 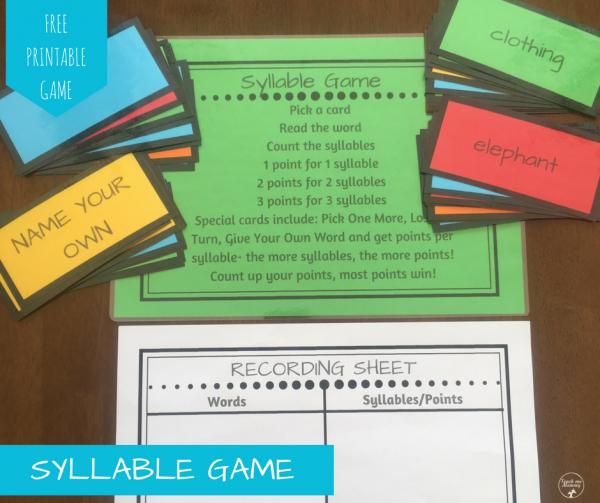 Here is a fun(free) printable game to practice breaking up words into syllables or chunking words! 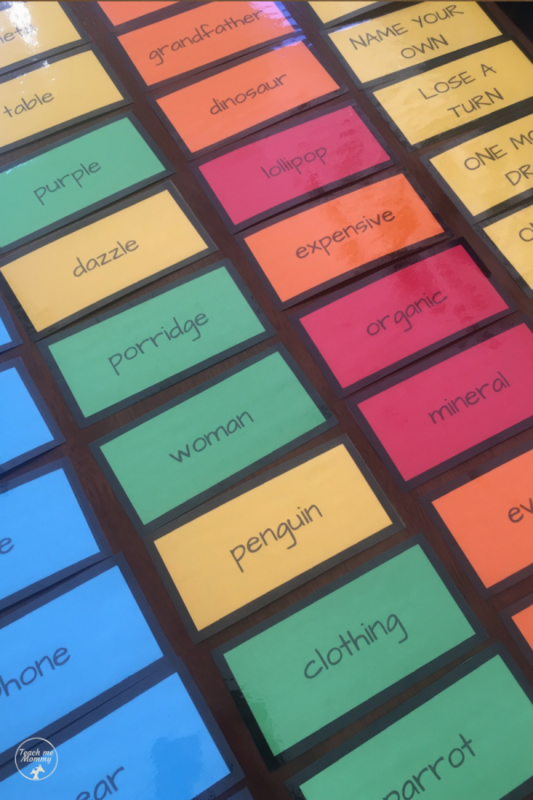 Each syllable is worth a point, so if you pick up a one-syllable word card, it is worth 1 point, two-syllable word card is worth 2 points and three-syllable word card is 3 points. There are 12 words of each category. Also, you will find 6 “bonus” cards: One More Draw- you have an extra turn to draw a card, Lose a Turn- no point for this round, Name Your Own- think of a word with lots of syllable for extra points! When printing, use a variety of colored paper/board. 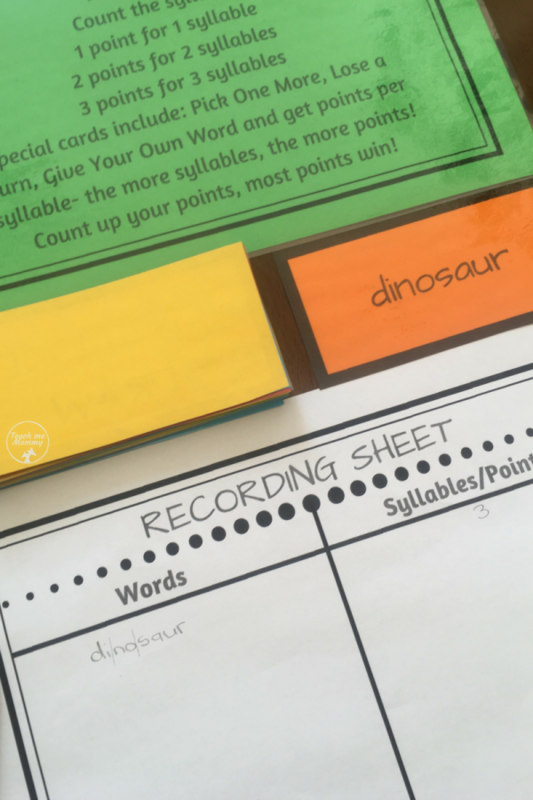 Shuffle the papers so that the same number of syllable word cards are not printed on the same color paper/board. 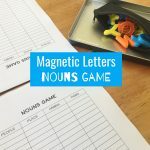 If it turns out that way(like my single syllable ones did), it is not a huge problem because players cannot choose their cards in any case, they have to take the top one. The surprise just add a bit of excitement to the game if it does differ in color. Use the record sheet if you want to, or simply record on a whiteboard/paper. 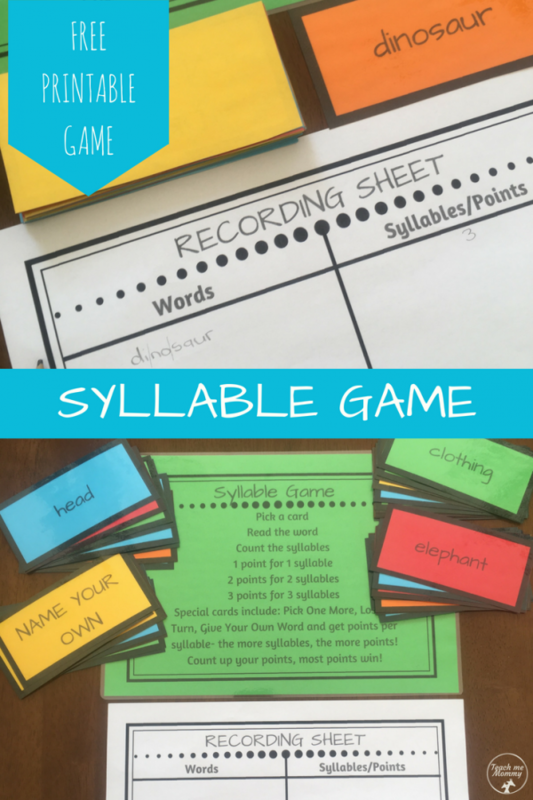 Have fun practicing syllable counting/chunking of words!